This is the heart-stopping moment a woman was run over by a heavy good train – but miraculously emerges totally unscathed. Onlookers said the burqa-clad jumped down from the platform to cross to the other side, but tripped on the tracks. 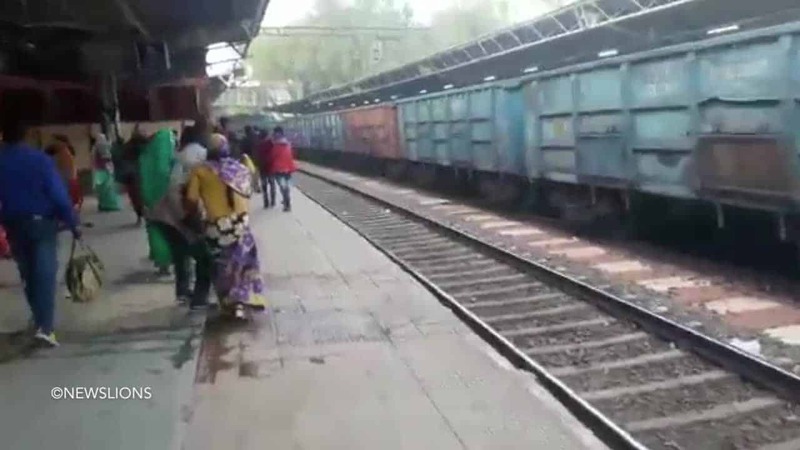 But before she could get up an enormous 40-carriage goods train rumbled through Agra’s Raja Mandi station in India at high speed. Passengers looked on in horror as the woman in her 20s had no option but to pin herself to the track, and one began filming. The terrifying clip shows onlookers huddling around the spot where she fell, waiting for the noisy train to pass through. But after the train passed – a heart-stopping TWO MINUTES later – it emerged the brave woman had pinned herself to the tracks.